This is a sponsored advertisement with Ever Wonder. 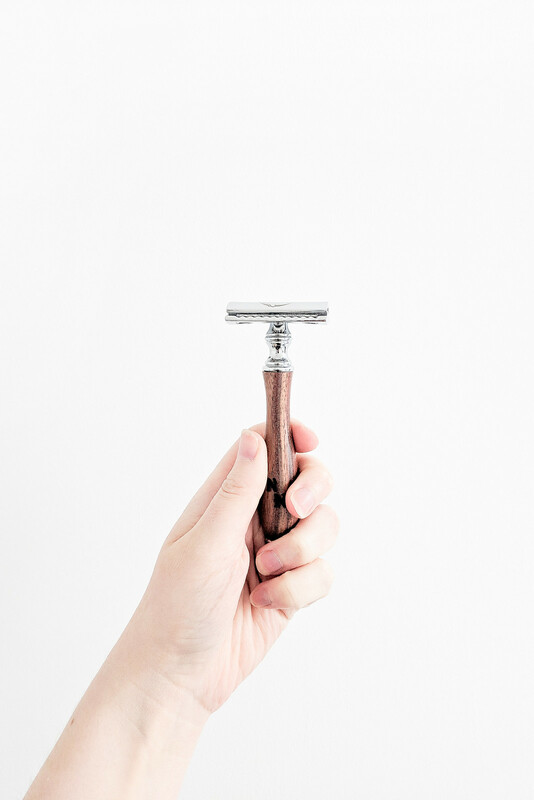 Investing in a safety razor to replace disposables is a switch that's often encouraged when talking about sustainable habits yet not much more is said about it other than safety razors will save you money in the long run. It's a switch that a lot of people make as one of their first steps into low waste living. Me? I've been putting it off for months. Until recently I've been using an epilator, which is great but not always ideal; I don't like waxing and find shaving a convenient option to have–I just want to be able to do it in the least wasteful way. Over 2 billion disposable razors are thrown away every year and replacement cartridges are extortionately priced so it makes sense to switch to a more sustainable method for the planet and more cost-effective purchase for you. You could forgo the cultural imperative to shave entirely, arguably that would be the most environmentally-friendly; if that won't work for you, thankfully we have options. There's certainly a learning curve to overcome when switching disposables for a safety razor but it's not that challenging once you get over the fear of the blade. I'm sharing what I've learned about using a safety razor and everything you need to know in order to make the switch. If you want to make the switch from disposable blades to safety razors, you can shop for everything you need from Ever Wonder. They stock a razor kit, which includes a safety razor, spare blades, and shaving soap, as well as exfoliating scrubs, moisturiser, and soap. 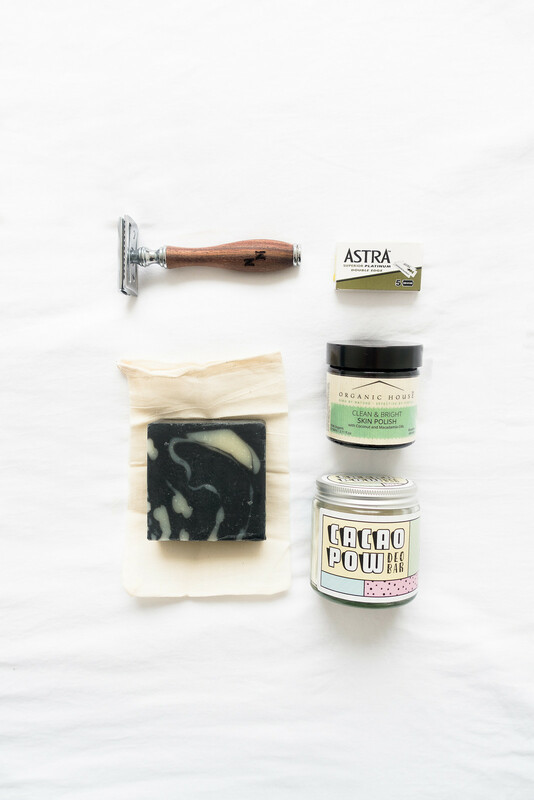 Making a choice about which safety razor to buy can be confusing and daunting; having a kit with everything you need plus helpful instructions on how to use it takes the stress out making the switch. Alternatively you could purchase a safety razor second-hand, which is what my partner did. We boiled the safety razor to kill off any nasties and replaced the blade. The only issue shopping second-hand for a razor is you won't always get a choice in terms of style, design, and handle length–those things can make a huge difference! That's why I'm happy with my Naked Necessities Safety Razor; the handle is a comfortable length, neither too long nor too short, and the kit included everything I needed to get me started with zero waste shaving. Exfoliating your skin before removing any hair will achieve a closer shave by remedying any dryness of the skin and providing a smoother surface for the blade to glide over. You could make your own from spent coffee grounds or opt for something more luxurious such as the Organic House Skin Exfoliant, which will prep your skin for shaving. The formula has anti-inflammatory properties so if your skin is a little troubled this scrub will fix it, while the coconut and macadamia oil moisturises and smooths. Swap your shaving cream (which often contains irritating ingredients and comes packaged in a harmful aerosol can) for soap, the bar kind. You don't need a mass of foam to shave with just a simple soapy lather. Pick a cleansing bar, like this charcoal one which can be used on face and body, that contains nourishing oils and butters so it won't dry out your skin. Another trick I've picked up from reading about safety razors is to use oil (although not coconut as it can clog your blade and your drain) followed by soap for a more luxurious shave. The soap and oil helps the blade glide over your skin removing hair smoothly and efficiently. I use my hands to lather up the soap; you could use a shaving brush to create more of a frothy lather, which would be more ideal for facial hair removal. 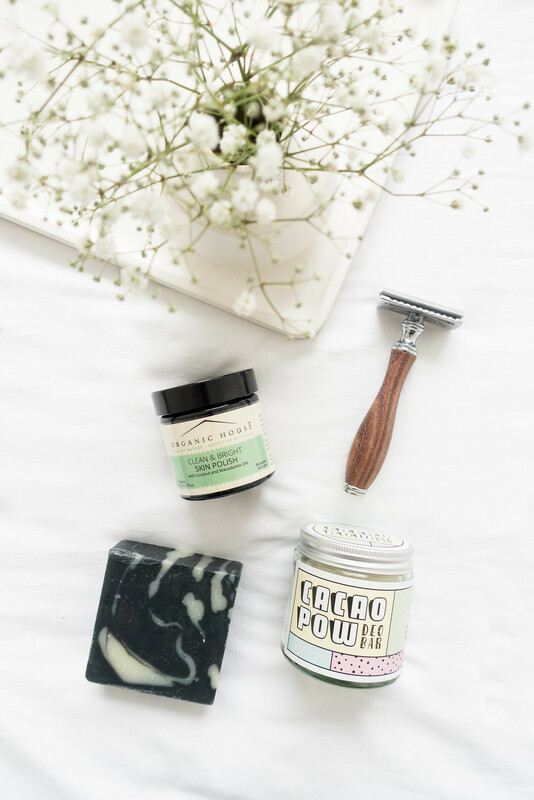 The Naked Necessities Safety Razor comes with a vegan-friendly shaving soap and the Ever Wonder store has a selection of soap to choose from. Short strokes at a 30 degree angle using the weight of the razor provides enough friction to remove hair without nicking your skin. It can take a bit of getting used to after years of using disposable plastic razors designed to quickly (although not always effectively) remove hair by dragging the blade firmly against your skin. Safety razors require a little more patience and a gentler touch with no pressure resulting in a closer, less irritating shave. Depending on how much you're shaving, you'll need to rinse the razor as you go to keep the blade free of hair and lather. Blades are typically universal and can fit into any safety razor yet the shave they produce can differ quite a lot. If you're unimpressed with the results, try out a different blade–don't give up on your safety razor. After shaving, especially sensitive areas, you're going to want to moisturise to avoid irritation or redness. Sweet almond oil or baobab oil are fantastic non-irritating moisturisers for soothing skin both on face and body. I prefer using an oil rather than a cream moisturiser as it absorbs quickly and leaves skin feeling super soft. When it comes to your armpits, a spot often more sensitive than others, you'll want to apply a gentle deodorant that's effective without being irritating. The Cacao Pow Deo Bar is made from simple organic ingredients–cacao butter, bicarbonate of soda, and zinc oxide, and has a wonderful cacao scent; just be mindful of applying this to freshly shaved skin. I can see why disposable razors became so popular when safety razors require a maintenance to keep them sharp and you can just throw the disposable ones in the bin. The reality is, the extra time spent caring for a safety razor (which is minuscule) is worth it to cut the waste and get a closer shave. After using your safety razor, it's best to dismantle the blade from the body to let the whole thing dry out completely. This prevents the razor from rusting and keeps the blade sharper for longer. When not in use, store your razor in a drawer or cabinet. Blades can last anywhere from a couple of months to an entire year, depending on how often you shave and how well you care for them. When the time comes to dispose of your razor blades, make sure you do it responsibly. Create a razor blade bank–an empty tin with a slit in the top just big enough to allow a blade to pass through–label it clearly and keep in a safe place. Razor blades are recyclable but it depends on your local facilities as you can't simply put them in your home recycling bin; check with your local recycling centre of how to safely dispose of your blades. I have to admit, I was nervous about trying my new safety razor. I'd heard there was a learning curve, that cutting yourself was easy, and getting used to the sharp blade could take a while. But I loved it instantly! I didn't nick myself, not even once, and found the razor friendly to use even on tricky areas like knees and ankles. The Naked Necessities Razor is very user-friendly and makes the transition very easy; I used it in the same way I'd use any other razor except I achieved a closer, smoother shave. The Ever Wonder store made it so easy to implement my switch to a safety razor; all the products they stock are low waste and come in recyclable packaging from the delivery boxes to the product packaging. They have a wide range of zero waste vegan-friendly products including bath and body, dental care, and feminine hygiene.